The updated Green Guide Italy offers travelers the inspiration to create a memorable journey, with Italy’s Must See cities, its historic cathedrals, castles and Roman ruins, its wine regions and gourmet destinations, its outdoor activities and natural settings, or Michelin’s many driving itineraries. 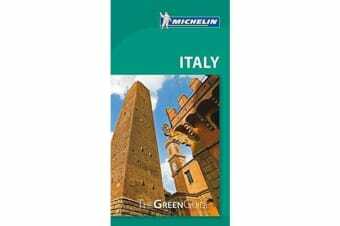 From the postcard-perfect Lakes Region to sunny Sicilian villages, Michelin’s celebrated star-rating system pinpoints Italy’s highlights. Recommendations for great places to eat and sleep, clear maps and practical information complete the picture for a successful trip.For the best restaurants and hotels, try the MICHELIN Guide Main Cities of Europe, featuring the best places to eat and stay in Rome, Florence, Milan and Turin. For driving and planning your trip throughout Italy, buy the Michelin Italy Road Map No. 735.